JAIPUR: Rajasthan Chief Minister Vasundhara Raje will be the BJP's chief ministerial candidate for the assembly elections scheduled to be held later this year. This was announced by BJP president Amit Shah on Saturday. ''The assembly election will be contested under Raje's leadership and she will again become the chief minister with a thumping majority,'' Shah said at the concluding session here of the BJP's state working committee meeting. Shah also exuded confidence that his party will once again form governments in Chhattisgarh and Madhya Pradesh too, referring to assembly elections in those states scheduled later this year. He asked party workers to remain dedicated and work hard to ensure that the BJP retains power in the state and also wins the 2019 Lok Sabha elections. Shah said the welfare schemes launched by the Raje government have been appreciated across the country and suggested that party workers should base the election campaign on them. Raje exuded confidence that the party will get more seats this year than in the last assembly elections, and will also win all the 25 Lok Sabha seats in 2019, the statement said. 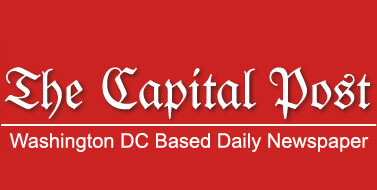 The working committee meeting began on Friday but Shah came to Jaipur on Saturday to address the concluding session. 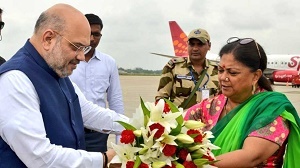 Suman Sharma, the chairperson of the state commission for women, told reporters that Shah gave a ''clear message'' that Raje will be the party's chief ministerial face. MLA Ashok Parnami said Shah urged that every BJP worker should dedicate 18 hours a day for the party for the next few months. Shah also attended a function in the city for the wedding of Union minister Narendra Singh Tomar. Shah also held a separate meeting the Rajasthan BJP's social media cell during which he accused the Congress of playing "negative politics". Union Home Minister Rajnath Singh also arrived here in the evening for the wedding function.